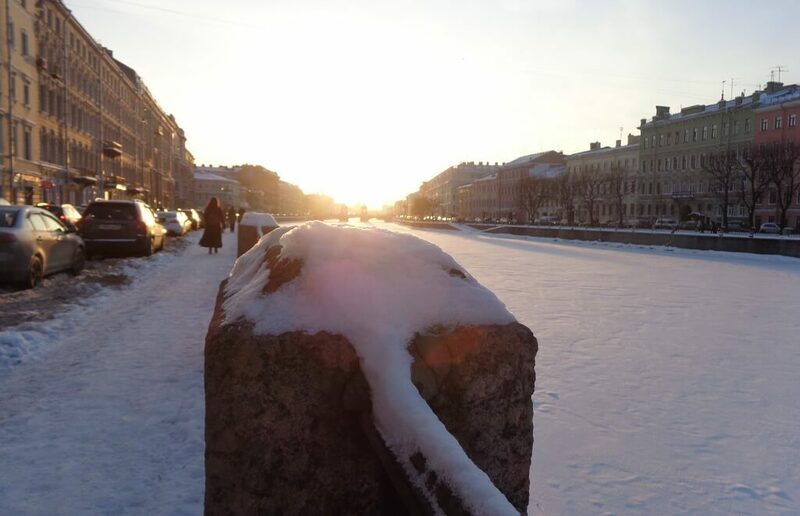 WP Yeo, a freelance administrative worker from Singapore, has always enjoyed travelling, so her coming to Russia, where she visited Moscow and St. Petersburg seems a logical choice. 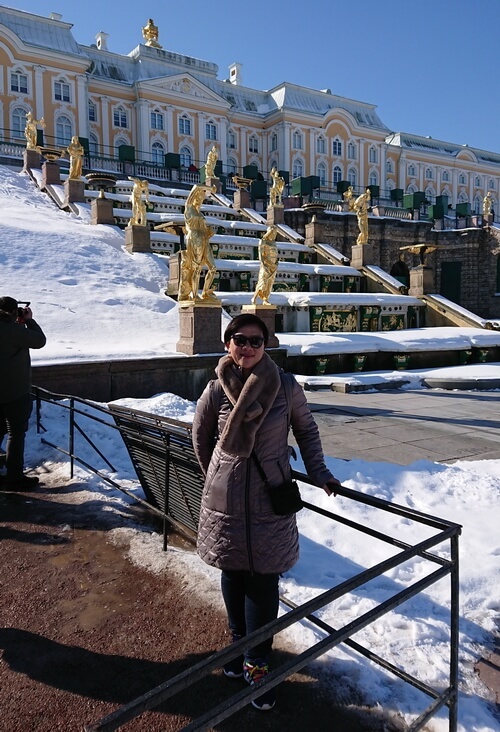 She stayed in St. Petersburg from 30th of March to 6th of April 2018 to visit The Hermitage museum which has been on her bucket list and answer our questions to give you some tips on the local sightseeings and transport. Which places did you visit here? What are you general impression of the city (how did you feel here)? I stayed mainly in the city throughout my stay and there was so much to see that it was enough to keep me very busy. During the week, I visited Peterhof, Catherine Palace, Grand Maquette Rossiya, Peter and Paul Fortress, Faberge Museum, The Hermitage, The Russian Museum, the Cathedral of Lady of Kazan, the St. Isaac Cathedral, the Cathedral of Saviour on the Spilled Blood. I also took a tour on the hop on hop off bus. Almost every day I took a stroll along the Nevsky Prospekt and visited various souvenirs shops there. St. Petersburg is a very vibrant city. Nevsky Prospekt is still full of people and bursting with energy at night. Which of the places you visited lived up to your expectations? Which didn’t and why? I loved ALL the places that I visited. There is a few, though, that exceeded my expectations, and I was really glad that I made the trip there. 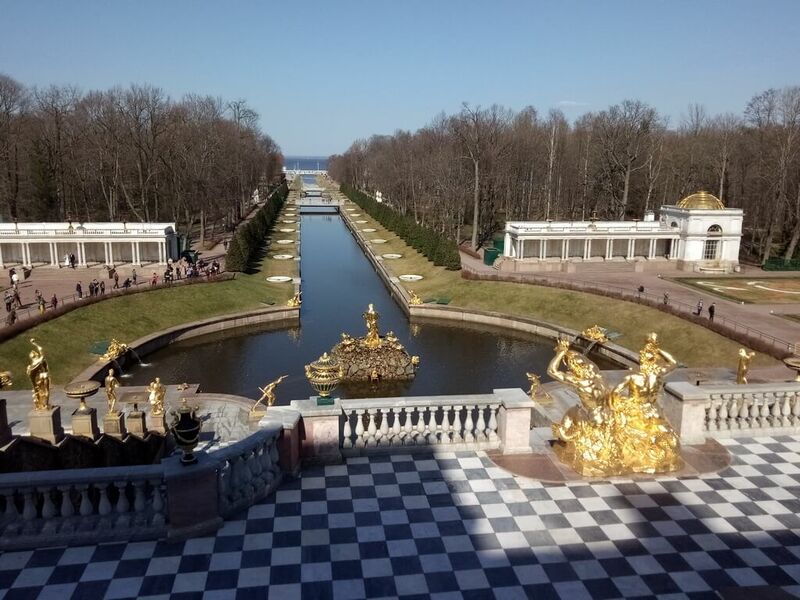 I was really awed by the beauty of Peterhof. I did not expect it to be so beautiful even though it was all white, and the fountains were not operating. It was such a serene experience to walk in the quiet park, and on the frozen water, something I’ve never done before. I was totally blown away by the interior of the St. Isaac Cathedral and the Cathedral of Saviour on the Spilled Blood. I spent a long time in both and was very reluctant to leave. 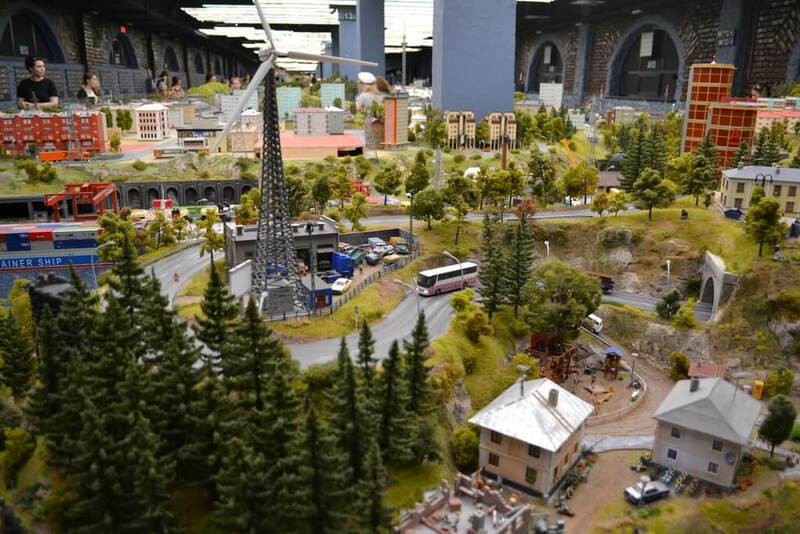 The biggest surprise was perhaps the Grand Maquette Rossiya. I had expected it to be a quick visit, but I spent hours there. It was so fun looking at the model and replication of different regions of Russia. There’s a lot of joy looking at the details and even engage in the interactive activities. I was very reluctant to leave there too. I was also very pleasantly surprised by the Russian Museum. I wasn’t expecting too much, but I absolutely loved the collection. On the other hand, I thought the Faberge Museum was a little disappointing. It’s a nice enough museum but I thought the collection a bit too little. I was expecting to see a lot more Faberge eggs! Besides the sights, I really enjoyed souvenirs shops, looking at countless Matryoshka dolls, I wished I could bring them all home. I also relished the experience of using the public transport. I thought the trips to Peterhof and Pushkin using the mini-buses were mini adventures on its own. Did you feel safe here? Yes. I felt very safe. Never did I ever feel uncomfortable and unsafe in St. Petersburg. Singapore is famous for its cleanness. How is St. Petersburg clean by your high standards? I would say St. Petersburg is clean as well. Some of the roads are, of course, a bit muddy and wet due to the weather, but I would say it is clean and it is free of litter generally. What were your biggest challenges while staying here? For example, did you have any difficulties with essential tourist information or with finding people speaking English? I would say I did not have any major challenge while there. As I do not speak Russian at all, it did pose some inconveniences initially. Also, sometimes I might need to ask a few people before I got helped. However, as I got oriented, it became easy to navigate the city. I always managed to get help from people on the street, and most of them spoke enough English to communicate effectively with me. In fact, I thought Saint Petersburg was more tourist friendly than Moscow. How would you rate the friendliness of Russians you communicated to in shops, streets, museums? The Russians are very friendly and helpful people. Everyone I approached was willing to help me. Many had helped me on directions and I have even approached someone to help me speak to the taxi driver on the phone. Many helped to take photographs as well. Some of them even used Google Translate to help me when they couldn’t find the correct English words! We experienced the kindness of the Russians firsthand when my mum very unfortunately fell down, along the Nevsky Prospekt, a few hours after we touched down. Many people came to ask about her condition and a few even asked whether we need help. One young man even offered to hold her. A cleaner even gave her a trash bag so she could sit on clean ground. While we were at the pharmacy, a lady helped to recommend some medicine. A gentleman helped us with the luggage at the train station when he saw my mum had difficulties with walking. There was a few who offered help without me asking them when they saw that I might need some help. In general, we had a very good impression of the Russians! Was the public transport system and taxi convenient to use? Yes. It was easy even for someone like me who does not know Russian at all. The taxi service was fast and convenient. What you would say about the hotel you stayed at? Did you like the service? Did it deliver enough value against the money you paid? I stayed at Crowne Plaza St. Petersburg, Ligovsky. It was a wonderful hotel. The hotel’s location was great, I took a stroll along the Nevsky Prospekt and walked back to the hotel almost everyday. The service was also superb. They helped arrange for transport to the doctor for my mum and transport to the train station. I would stay there should I visit St. Petersburg again. Were the prices in St. Petersburg (museums, shops, transportation etc.) too high, low or moderate for you? The prices are reasonable. I consider the admission price low for the world class collections and sights. Taxi fare is also low as compared to Singapore. Which advices would you give to other English-speaking travelers coming to St. Petersburg? My initial thought of Russia was that it was not easy to visit the country as an independent traveler without a package tour. How wrong was that! With research and pre-planning, it is a very feasible option to visit without a package tour. In fact, visiting without a package tour gives you plenty of opportunities to interact with the locals. It is very useful to do some groundwork before your trip and lots of information is available in the internet. I have been helped tremendously by the information in your website. It will also be great to be familiar with the metro system beforehand. I downloaded Yandex metro apps and it was also a great help during the trip. In Moscow, where the signs are all in Russian, I used the apps to match the Russian sign to get around and get help. Studying the city maps and having a brief idea of the location of the sights also helped in the planning. For accommodation, I would recommend putting up at establishments, which have English speaking staff. I got a lot of help as well from the hotel staff by asking them to write the names of places and phrases in Russian before I headed out. Lastly, I would highly recommend getting a local SIM card. You will have access to information while on the move and in my case I used Google Translate to communicate with locals when we didn’t have a common language. I can even call my family anytime of the day without having to worry about the cost. You probably will also need a Russian phone number if you wish to use taxi apps for transport. It is not expensive and it’s a small investment for a lot of conveniences while on holiday. I purchased it at the Pulkovo airport and got the staff to activate it for me, no trouble at all.